Since the Financial Crisis in 2008, global economic growth has been lackluster. Growth levels in the United States, Europe and emerging markets have failed to approach pre-crisis levels. 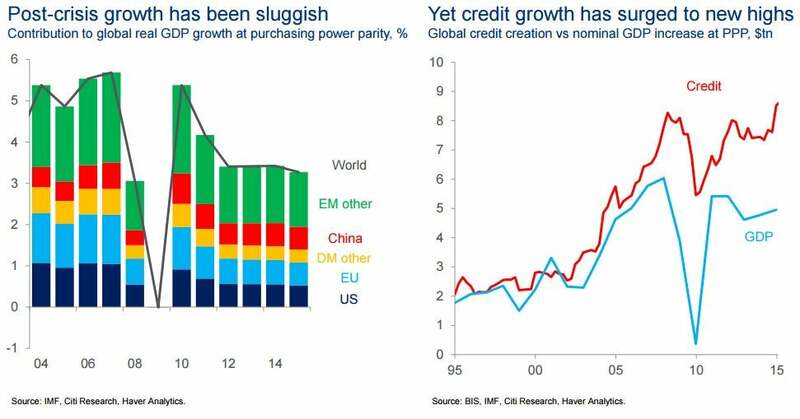 However, global credit levels have never been higher. The global credit level is currently approaching $9 trillion, despite the fact that global GDP growth levels are not back to pre-crisis highs. Where Is The Credit Being Created?